"Share the Story of Christmas"
The Nativity Snowman combines two of the most popular images in Jim's art. 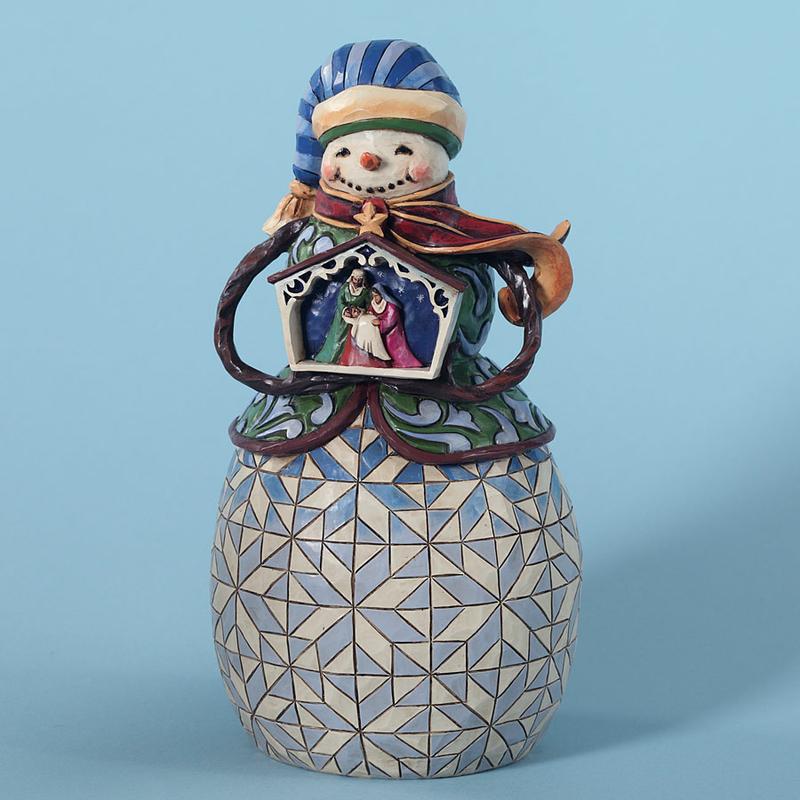 Nativities are Jim's favorite theme; rendered here in celebration with a snowman a symbol of the season. Note the interlocking 8 point star pattern on the snowman.